Equipped with the CR-type equalizer based on GE(General Electric/USA) 12AT7 authorized by J.A.N. (Joint Army & Navy) standard of the US Army, and can reproduce a very high quality and clear sound without adding any NFB. 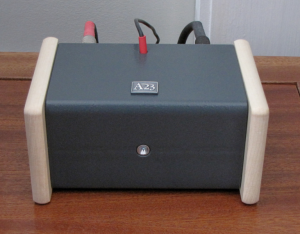 To avoid compromising sound quality using the NFB type, one of the solutions we adapted to completely protect the sensitive CR type equalizer was to originally develop for RS-30EQ a high quality "Orient-Core" power transformer perfectly shielded to shut-down hum noise from the transformer perfectly. 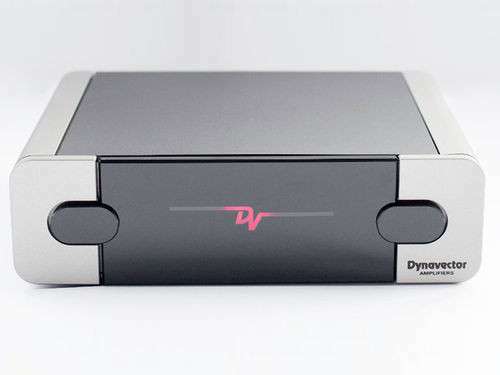 We have also selected the finest available high-end audio components to keep the deflection of the RIAA curve below +/-0.2%. 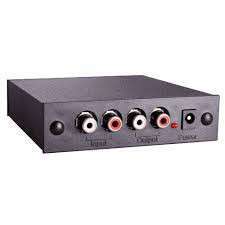 With minimalistic circuit design best sound quality is achieved without any compromise. Only one transistor is responsible for amplification of the low MC signals. Overallfeedback, differential amplification and push-pull circuits are not used. Adjustment of the MC imput impedance to the pick-up is superfluous due to the use of a current control circuit. 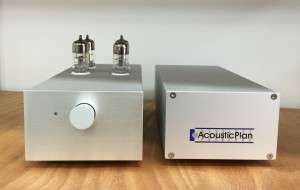 Tubes are only installed where they are able to develop their whole range of advantages: for prevention of natural harmonic spectrum, fusion of neutrality and liveliness as well as the exceptional dynamics. One output transistor guarantees low output impedance to drive long cables without losses. Unregulated switching power supplies avoid any kind of humming and noise. PhonoMaster is equipped with double sided printed circuit boards for tight fixing of ceramic bases and all other components. Shown with the optional Powermaster PSU. A bit more pricey than it used to be, what isn’t, but it delivers sound quality that’s fully commensurate with that asking price. What’s more it’s a great partner for any cartridge not just those from the same company as the Apheta 2 proves, especially when you set it up in PE mode which is undoubtedly it’s strongest suit. For years Auditorium 23 has offered step-up transformers for use with Denon DL 103, Ortofon, EMT and similar cartridges. Particularly for cartridges with low impedances its important to use a specialized matching transformer rather than a generic type. The A23 SUTs are available in a standard range, and also the magnificent Hommage range. Using an EMT TSD15 with the A23 Hommage SUT is nothing short of a revelation in musicality. Auditorium 23 step up transformers are available in three versions, two specifically for very low impedance cartridges like the Ortofon SPU and one for higher impedance cartridges like the EMT's, Denon 103, Shelter and many others. 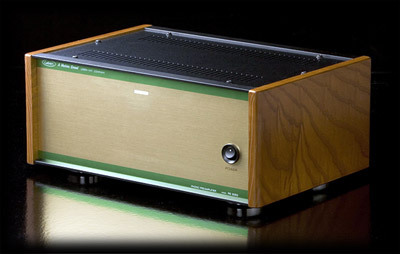 Auditorium 23 transformers in combination with a suitable phono preamp are simply amazing. Active gain stages will never capture the flow, texture, drive and overall musicality of a top shelf transformer like the Auditorium 23.